The R If Else Statement allows us to choose between TRUE or FALSE, and when there are more than two options, we simply use Nested If Else statement. Say, What if we have 12 alternatives to choose?, if we use Nested If Else in this situation, programming logic will be difficult to understand. 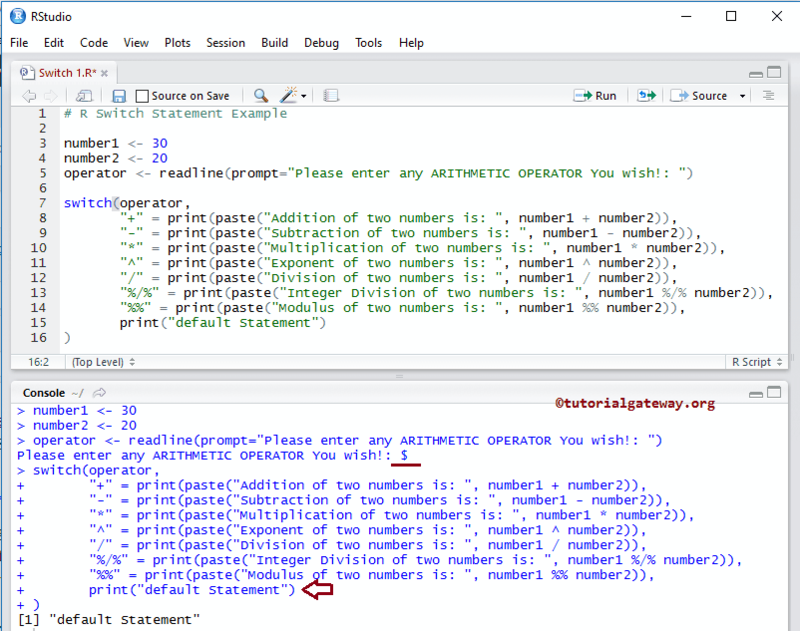 In R Programming Switch statement and Else if statement can handle these type of problems effectively. We already discussed about the R Else If Statement in our previous article. So, let us explore R switch statement here. The expression value should be either integer or characters (We can write the expression as n/2 also but the result should be integer or convertible integers). 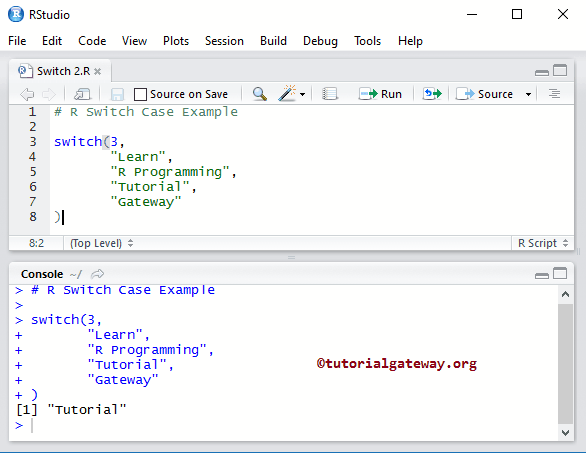 R Switch statement allows us to add default statement. If the Expression value, or the Index_Position is not matching with any of the case statements then the default statements will be executed. If there is more than one match, the first matching statemnet will be returned. If Case = Option 1, STATEMENT 1 is executed. If Case = Option 2, STATEMENT 2 is executed. Case = Option 3, STATEMENT 3 is executed. 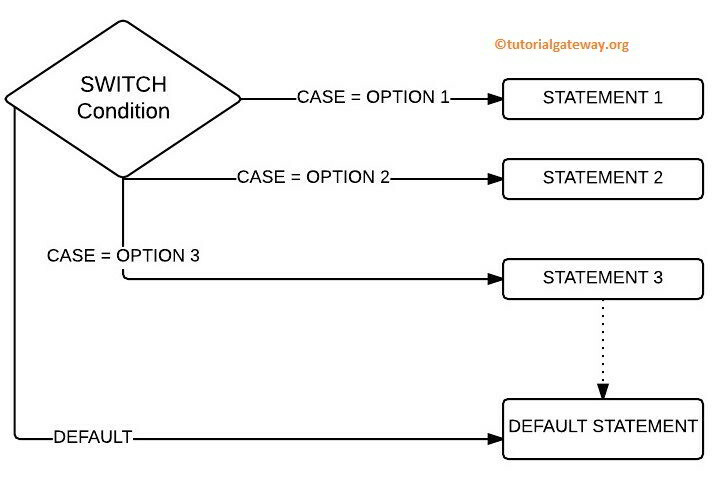 If Option 1, Option 2, and Option 3 Fails then DEFAULT STATEMENT is executed. 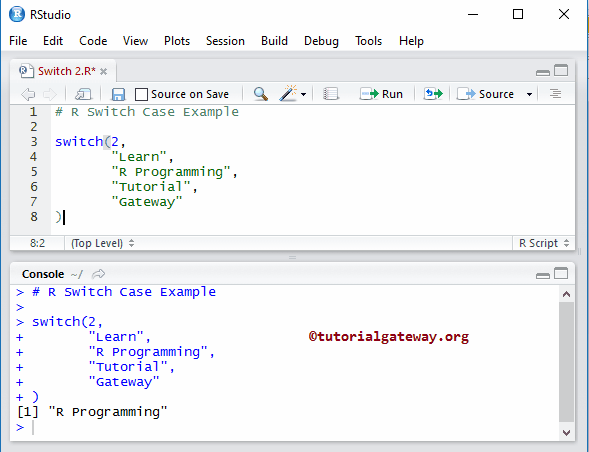 This program show you the basic functionality of the Switch in R programming language. 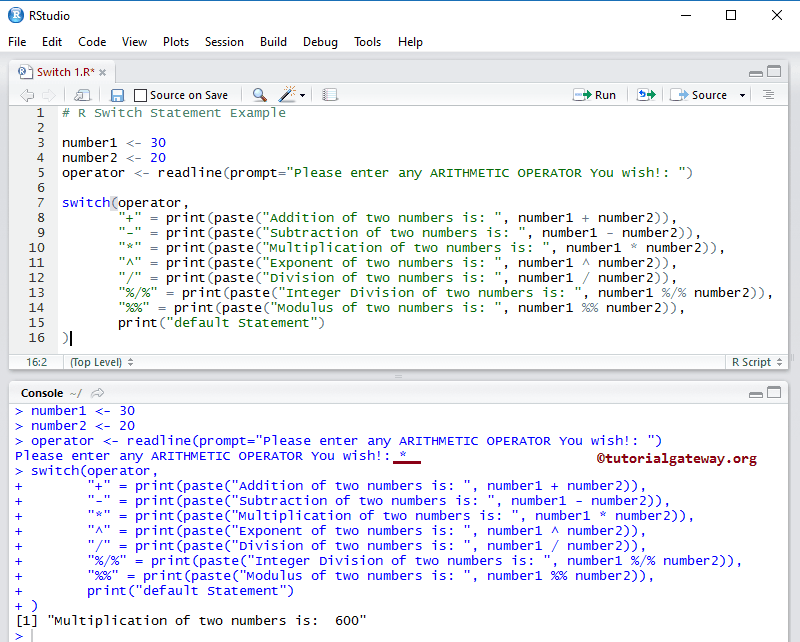 This program allows the user to enter any Arithmetic Operators to perform arithmetic operations using Switch statement in R programming language. Following statement will allow the User to enter single character (it should be any Arithmetic operator) and we are assigning the user entered character to a variable called operator.